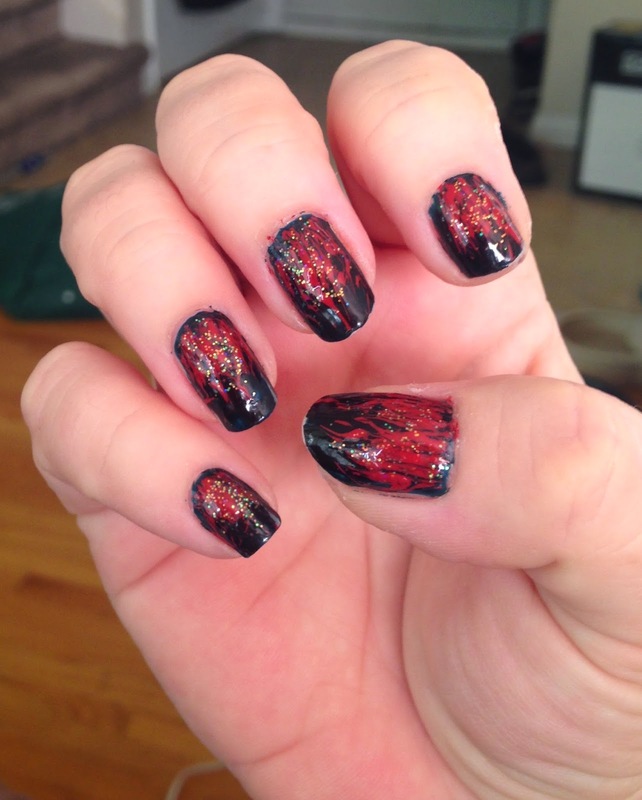 This is my last Halloween Series Nail Pictorial <sigh>. 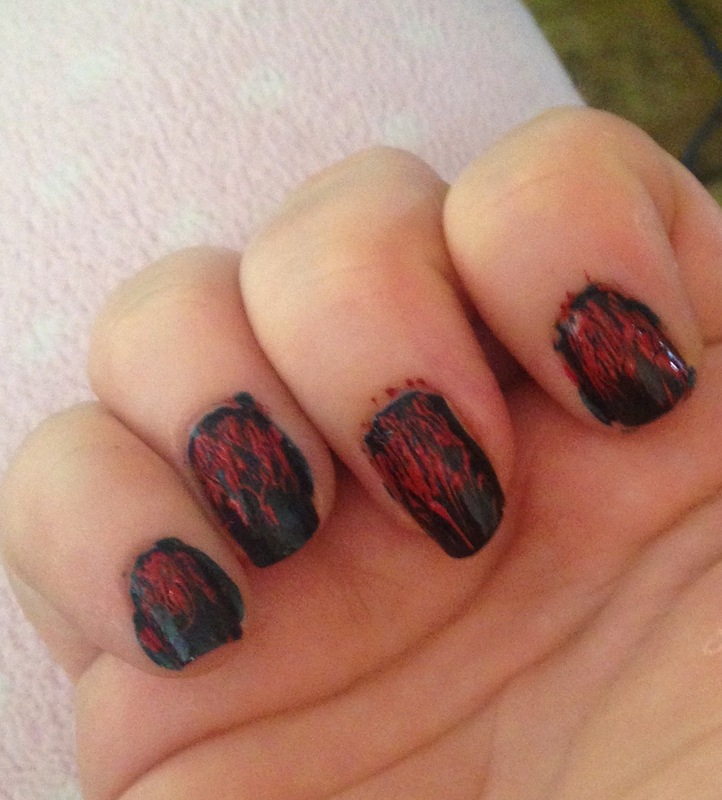 I really enjoyed trying ( and failing) new nail designs. Some turned out even better than expected, some were complete fails. It was nice looking through Pinterest and finding new designs to try. The last nail design is kind of a vixen nail. 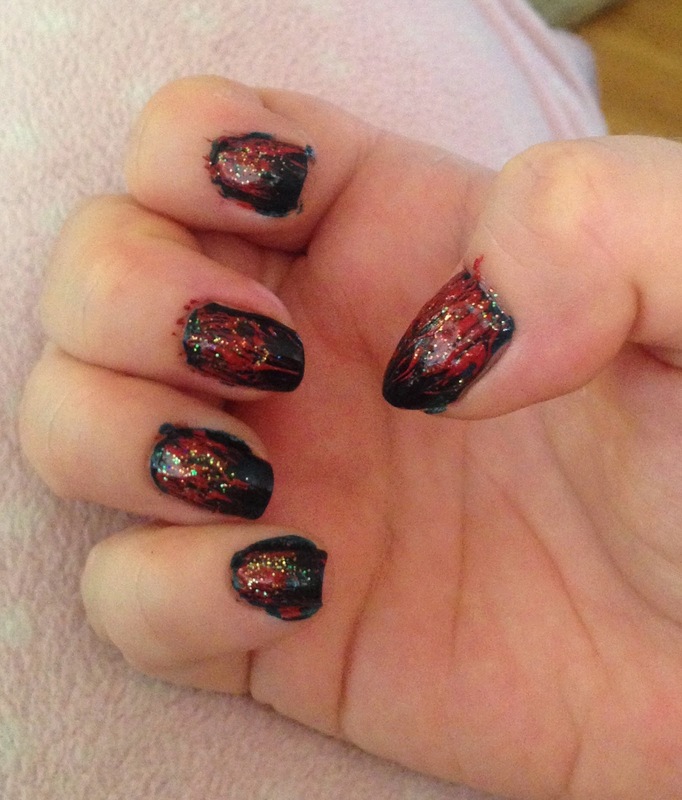 I love how it looks like flames on the nail. This would be great for vampire, witch, black cat costumes. You certainly can switch the colors, I used a black base color and red lines. You can switch it to red base color and black lines. This will also look great with light colors - not just for Halloween. To protect the nail from staining, apply a base coat. 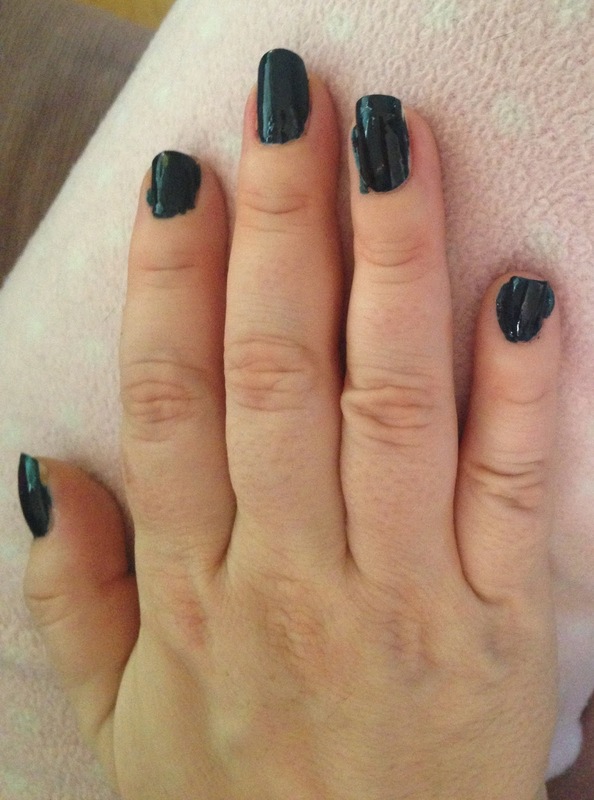 Then apply the black nail polish. Let dry. 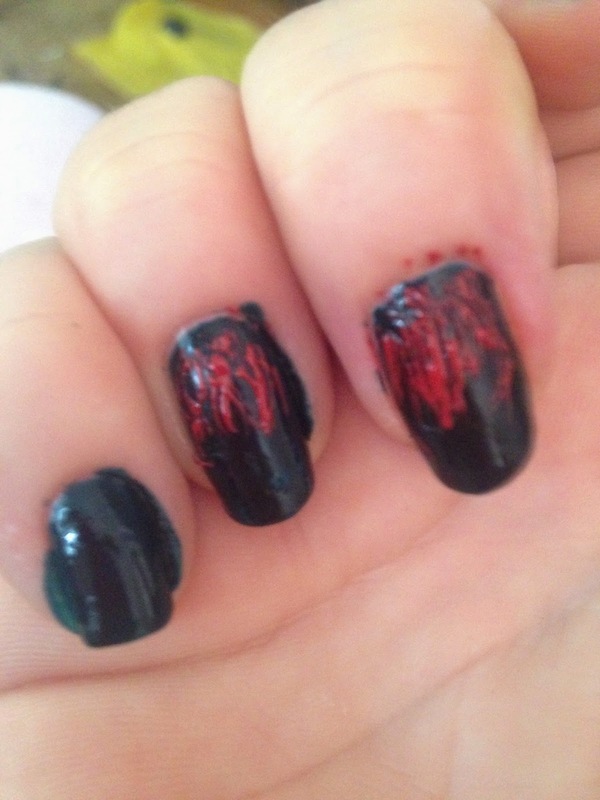 Using a toothpick, dip into red nail polish and apply lines from the cuticle down. The lines can be all different, apply until you get the look you like. This step is optional. Dip the toothpick into glitter polish and go over the lines with some glitter. Apply a top coat to give the nails a great shine. 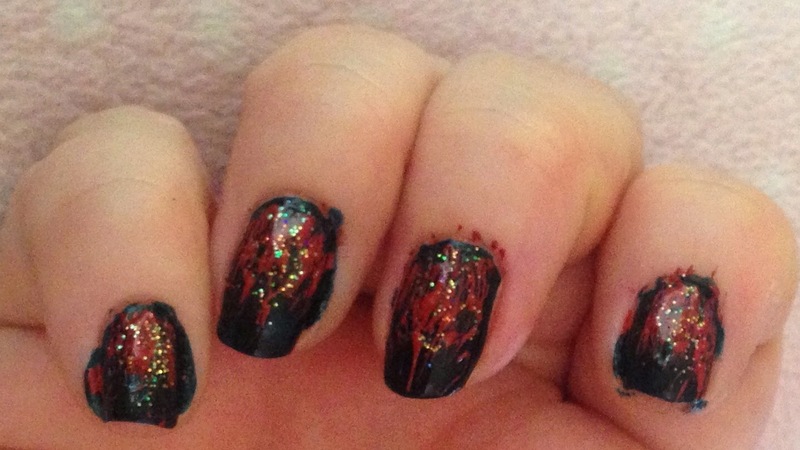 I hope you enjoyed the Halloween Series nail designs, I enjoyed making the blog posts.